There’s a lot of activity going on in organisations to prepare for the web accessibility regulations. Alistar McNaught examines why appropriate ownership of the activity is vital. We have all been in the situation. The very urgent parcel that needs to catch the post. The unexpected traffic ja ms on the way to the post office. Five minutes before the post goes and the only legal parking is six minute’s walk away. The double yellow lines outside the shop are tantalisingly empty. 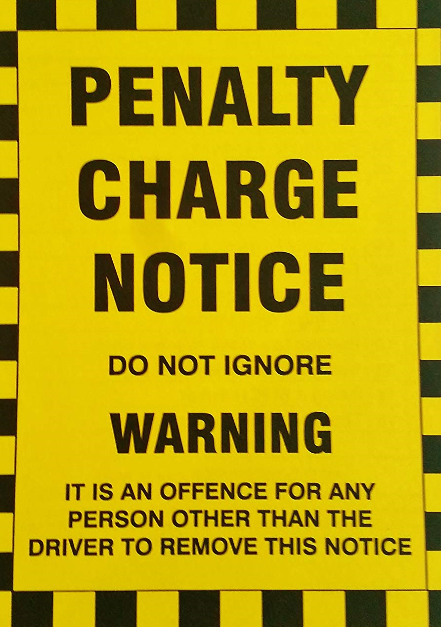 You park the car right outside the post office and run in, instructing your passenger to move the car if a traffic warden appears. When you return there is a large yellow sticker on the windscreen and a traffic warden disappearing into the distance. You turn to the passenger. “Sorry dad,” your seven-year-old replies. The Public Sector Web Accessibility Guidelines apply to all UK further and higher institutions (except for a tiny minority of few private providers). When Jisc surveyed a sample of the sector in 2018, the level of readiness varied between HE and FE, with higher education institutions being more aware of the legislation and further advanced in their planning. It is clear from the activity on this list that levels of awareness are rising quickly. What is also clear is that people charged with the responsibility of preparing for the legislation usually lack the authority to ‘move the car’. Identifying the issues. Some organisations have the expertise to handle this in-house but others don’t. Even when the expertise exists in-house, there may be a desire to have an objective external audit. These have budget implications. Justifying compromises. In an educational context, there are inevitably compromises; resources that are brilliant for dyslexics but not accessible to screen readers or specialist software with accessibility barriers but no realistic alternative currently available. These grey areas have reputational implications – whichever choice you make. Implementing training. There’s no point in fixing the content of your current website and VLE if you tutors are going to continue to upload resources with poor accessibility. Training has implications. If training is to be mandatory, it also has HR implications. Complaints and reporting procedures. How does somebody complain, what is the reporting and support process, who are the designated responders, what is the timeframe, what is the escalation procedure? This has implications for job descriptions. Quality assurance. Accessibility compliance needs to be a part of the formal quality assurance in the organisation. It should be a part of internal self-assessment review processes. This has implications for institution wide quality assurance. It is abundantly clear, that whoever is responsible for responding to the legislation needs to have the authority to influence budgets, make reputational judgements, influence job descriptions, training requirements and institutional quality assurance processes. There is currently excellent work being done by diligent people across the sector in trying to identify the known issues and assess the scale of the work that needs to be done. They can tell you what the problem is. They can see when the traffic warden is coming. But if the driver isn’t in the car there is no way you can respond in time. Institution-wide accessibility (the only kind that is legally safe) needs ownership from senior management level downwards. Anything less is a fast route to failure.